There is a race between the smartphone makers to launch their smartphones bezel-less and with a more screen-to-body ratio. So for this, the in-display fingerprint scanner was invented which now every company is using in their smartphones. We as a customer would love to have a smartphone with a full-screen, almost bezel-less and higher screen-to-body ratio. But this increases the price of the smartphone too. 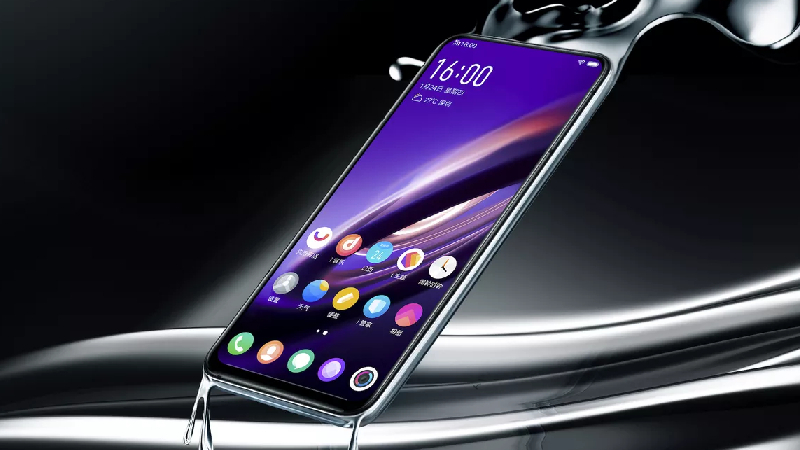 The smartphone with bezel-less screen has more possibility of getting damage and there is no place to keep the important components like the selfie camera, front fingerprint sensor, and earpiece safe. To solve this problem, the mobile makers are working on housing these most important components under the display panel. And the first thing that is approaching fast is the under-display fingerprint scanner. It is more convenient to use when the smartphone is placed on a table. It allows for a broader scanning area. It works well even when the hands are wet and greasy. Both optical and ultrasonic sensors are slower than the capacitive fingerprint sensor. Both of them have a higher error rate than the capacitive fingerprint sensor. More repairing cost in case the screen gets damaged. It works on 3D mapping due to which it is very hard to fool the device. Same like standard fingerprint sensors, this also touts about a 1 percent error rate. It is less affected by food grease, wet hands, oil, or dirt. It is faster and does not need your finger to be illuminated before reading them. 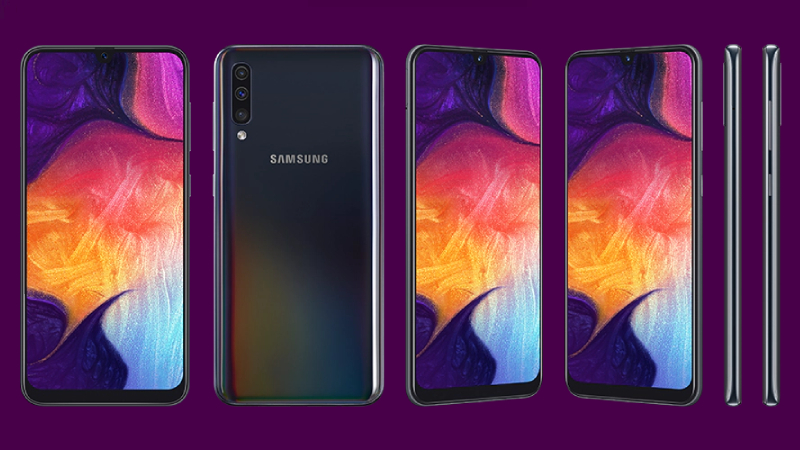 The most awaited and rumored smartphone of Samsung Galaxy S10+ and Galaxy S10 flaunts an ultrasonic under-display fingerprint scanner. It is designed to work in all the lighting conditions. And the company claims that the smartphone also works well with dusty and smudged fingerprints. 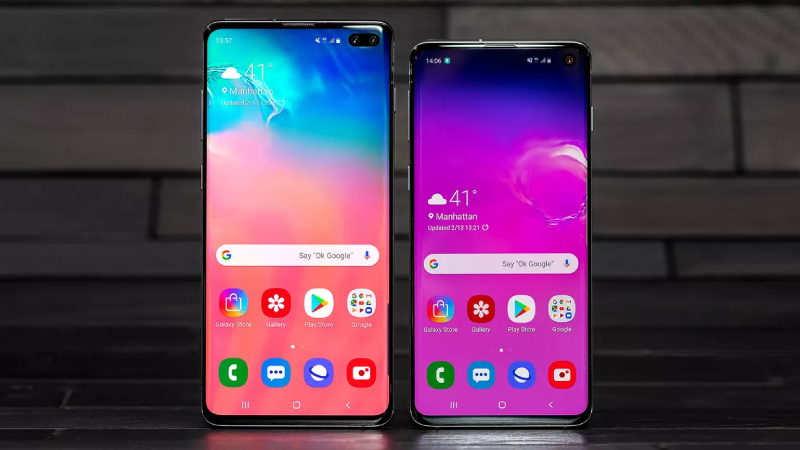 It is said that the Galaxy S10+ gives more accurate and more consistent results as compared to the optical sensors that are at present available in In-display fingerprint sensor mobiles. The Samsung Galaxy S10+ also features WiFi 6.0, fast charging 2.0, and it comes with up to 12GB of RAM and 1TB of internal storage which can further be expandable up to 512GB via a microSD card slot. 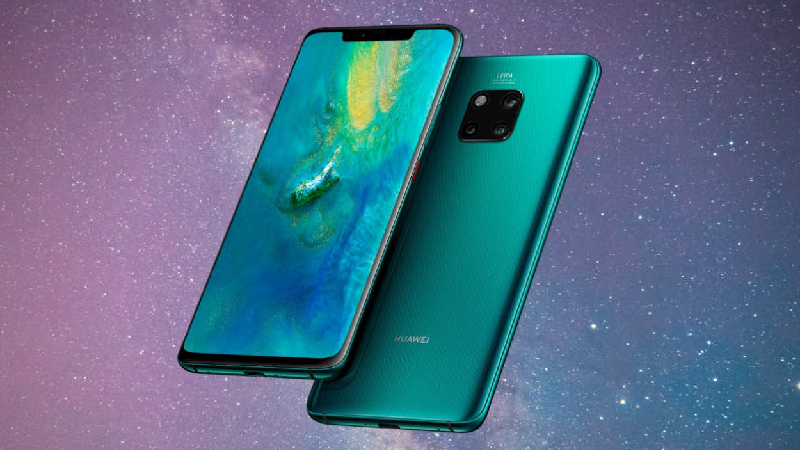 Huawei Mate 20 Pro comes with an under-display fingerprint scanner and a curved OLED display. The smartphone uses Optical sensor which is considered to be the fastest. The Huawei Mate 20 Pro is excellent in the areas- display quality, photography, and overall performance. The Vivo Apex (2019) comes with a new-gen in-display fingerprint sensor. This can be said because the whole screen of the Vivo Apex can be used as an in-display fingerprint scanner. The user can touch anywhere on the screen to unlock the smartphone due to which it is more convenient to use. Only a concept device of Vivo Apex is seen yet but it is expected that the tech will be given to other upcoming Vivo smartphones. The smartphone is fully made of glass or G2 curved surface waterdrop glass which looks like a pebble. The smartphone supports 5G connectivity and under the hood carries Snapdragon 855. The smartphone also features the MagPort connector on the back, Screen SoundCasting, and pressure sensitive buttons which makes it a usable port-free smartphone. 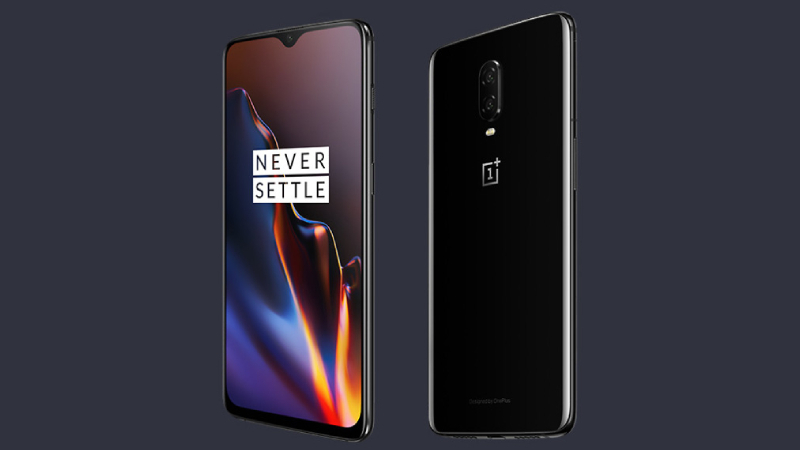 The OnePlus 6T is the first smartphone to come with fast under-display scanner in the Android segment. The smartphone with only one launch has gained a lot of popularity because of its specs and now we can expect a lot from the upcoming flagship smartphones. The smartphone flaunts a 6.41-inch AMOLED display, powers a Snapdragon 845 SoC, and minimum 128GB of onboard storage. The 2019 flagship smartphone of Xiaomi- Mi 9 carries an under-display fingerprint scanner. It packs a 48MP camera at the back along with a 16MP secondary Ultra-wide sensor(117-degree FoV and an f/2.2 aperture) and a telephoto lens with 12MP sensor (1.0 µm pixel size and f/2.2 aperture) which gives 2X optical zoom. At the front, the smartphone flaunts a 20MP Sony IMX576 selfie sensor. Same like the previous smartphone, this device too comes with a transparent edition. 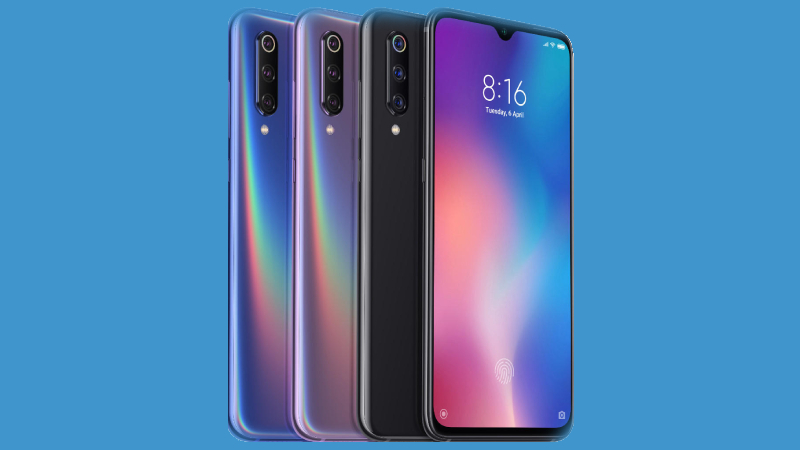 The Xiaomi Mi 9 has higher variant specifications and claims flagship-grade performance. 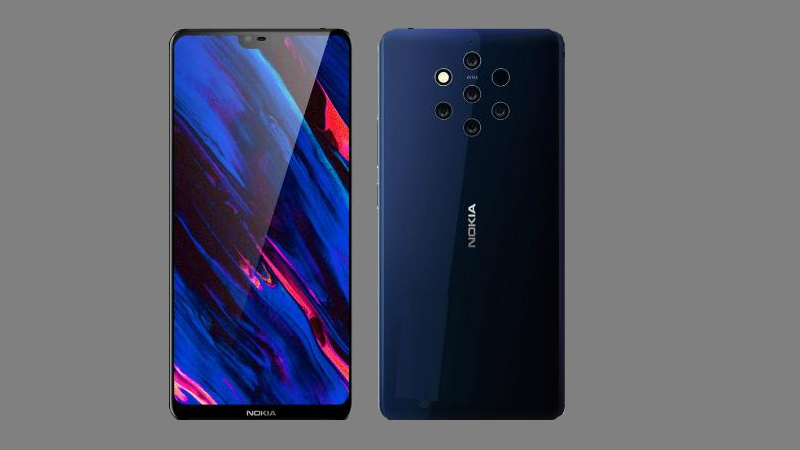 Nokia 9 Pureview comes with an under-display fingerprint reader and is popular for carrying five cameras at the back which claims to give enhanced low-light photography. From five cameras, there are three 12MP monochrome cameras, two 12MP RGB cameras and all with an f/1.8 aperture. Along with these cameras, the smartphone also comes with a flash and a Time-Of-Flight (ToF) sensor. The rest of the specifications of the smartphone is the same as the standard 2018 flagship. The Nokia 9 PureView under the hood carries a Snapdragon 845 processor is lacks behind the smartphones that use a higher processor. The smartphone comes with a 6GB of RAM and 128GB of internal memory. 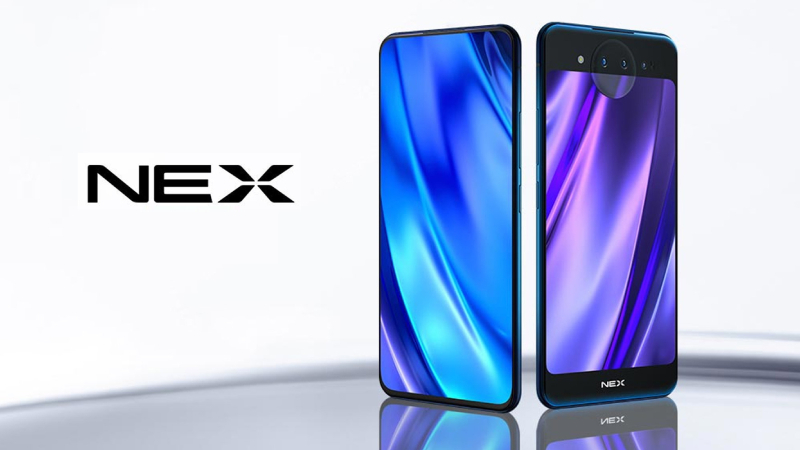 The Vivo Nex Dual Display is different from other smartphones because it comes with two AMOLED displays i.e. one at the back and one at the front. With the help of the second display, the user can take selfies from the back cameras. The front display contains the under-display fingerprint sensor. The user can also use the back screen as a game controller and can use the complete front screen for a better gaming experience. 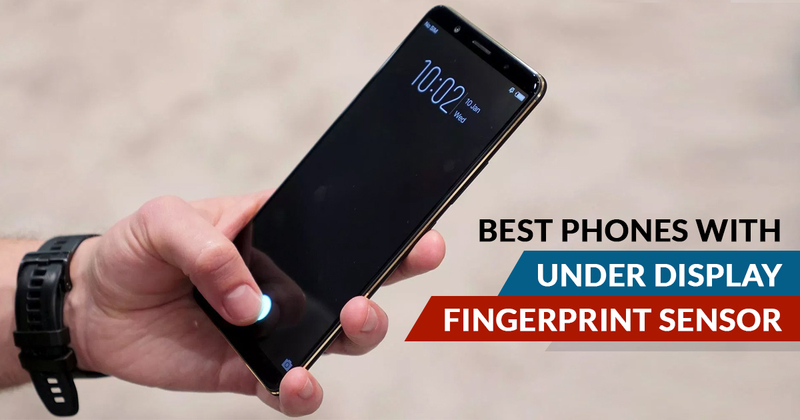 The Vivo on-screen fingerprint phone gives a strong performance and this is just because of the latest and largest hardware. 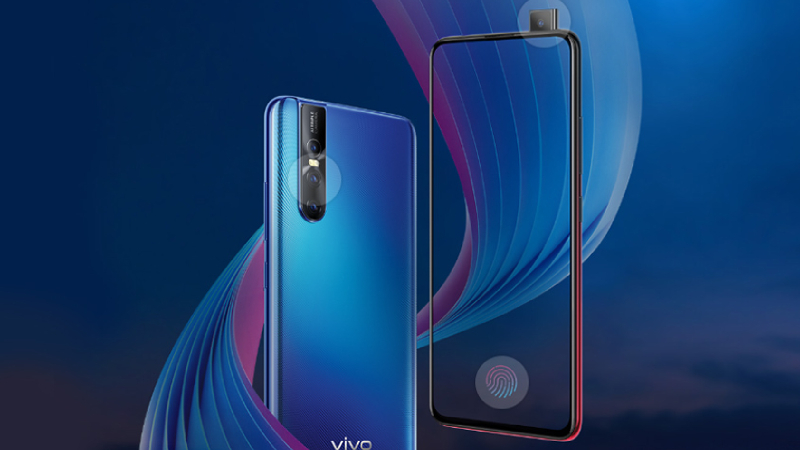 The successor of Vivo V11 Pro i.e. the Vivo V15 Pro comes with a 48MP back camera and a 32MP pop-up selfie camera. Along with this, the smartphone also comes with the fifth-gen under-display fingerprint reader from Synaptics and also a Face Unlock for enhancing accuracy and consistency. The under-screen fingerprint sensor, pop-up selfie camera and the gloriously vibrant display make this smartphone unique from other smartphones. 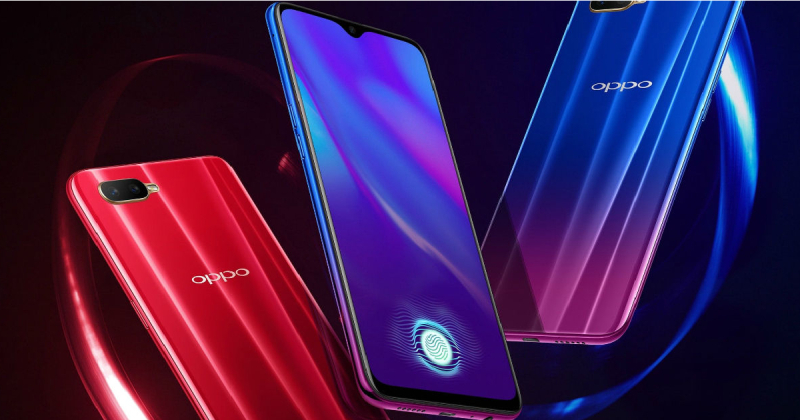 Oppo R17 Pro is the smartphone that comes with a “dew-drop notch” along with an under-display fingerprint scanner. The smartphone flaunts a 6.4-inch Full HD+ AMOLED display with an aspect ratio of 19:9 which has a small notch at the top that houses a selfie camera. Under the hood, the smartphone gets the power from the Snapdragon 710 chipset, mated with 8GB of RAM and 128GB of internal storage. The device also comes with 16MP back camera, 25MP AI front camera, dual 4G VoLTE support, and has a capacity of 3500mAh battery with VOOC fast charging support. The company claims that the under-display fingerprint scanner unlocks the device in just 0.41 seconds. 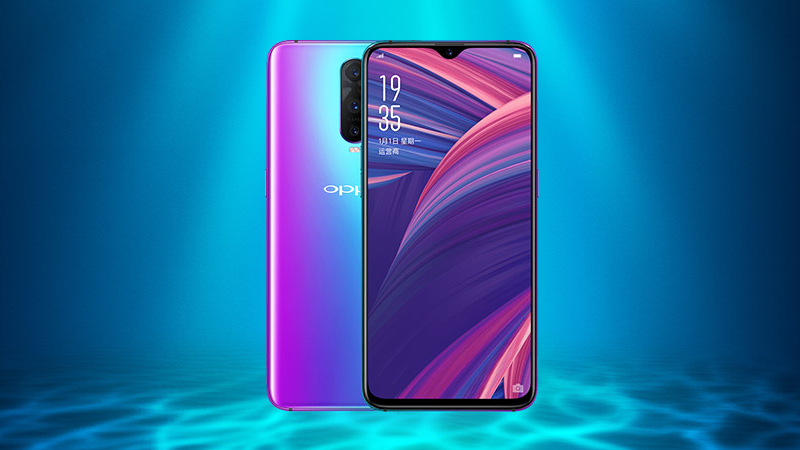 Oppo K1 is the cheapest smartphone to carry an under-display fingerprint scanner with a 25MP front camera which is housed inside the hole-punch in the display. The smartphone flaunts a 6.4-inch AMOLED display. The device carries a dual rear camera setup– 16 MP + 2 MP arranged on a 3D glass panel. Under the hood, the Oppo K1 comes with an Octa-Core Qualcomm Snapdragon 660 Mobile Platform clocked at 2.2 GHz and carries a 3,600mAh battery. The smartphone is available in 4GB of RAM and 64GB of internal storage which can further be expanded up to 256GB via a microSD card slot. The Dual SIM smartphone runs ColorOS 5.2 skin based Android 8.1 (Oreo). Samsung Galaxy A50 is the first smartphone of A series in which the fingerprint scanner embedded on the 6.4-inch full HD+ Super AMOLED display with a screen resolution of 1080 × 2340 pixels. The biometric solution is one of the features of the phone. A50 is equipped with the powerful Exynos 9610 chipset and sports 4GB & 6GB of RAM. Other features include the triple back camera of 25MP main camera + 8MP ultra-wide camera + 5MP depth sensor along with the 25-megapixel front camera and packs a capacity of 4,000mAh battery with 15W fast charging support. It gets power from the octa-core processor.